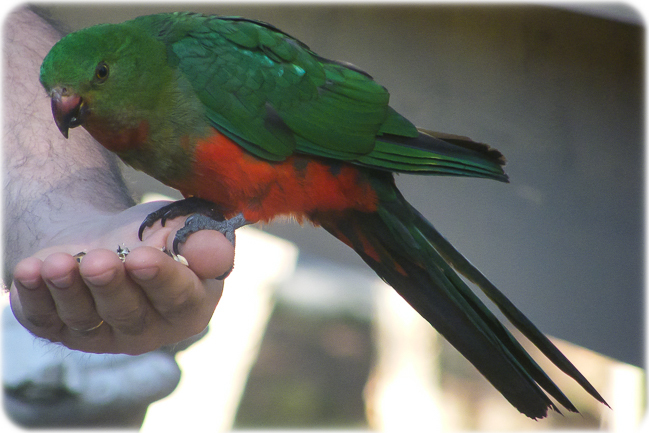 The King Parrots are gentler, shyer birds who will eat food from your hand. They visit each day and call out as soon as they arrive. They gather on the bbq and wait – they sing and appear to “stare” at you till food is produced. Their feathers really are magnificent in color and seemingly different on each bird.